Uniforce, Model 375 Clamps, 6 Clamps per pack. 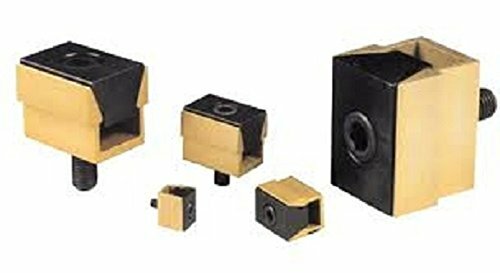 The compact, economical MITEE-BITE Uniforce Clamp enables you to fixture more parts on the machine table. The specially designed steel wedge spreads the clamping force uniformly on both sides of the 7075-T6 aluminum channel. Thread Size 4-40, Max Spread .390, Max Torque (Ft/lbs) 1.1, Holding Force (lbs.) 310,Key Size 3/32.